As in any service based industry, Uber and Lyft win because of the needed service they provide. It is the combination of affordability and convenience that make them so popular with their customer base. Just like the business you work for, as an Uber or Lyft driver, you are also in the service business, providing customers with an easy option to get from point A to point B. It might seem like I am pointing out the obvious here…of course you know you are providing a service. Yet, when you consider the importance of quality in the service space, it is surprising to see how many drivers are missing a few key points that can improve their ratings, and ultimately make them more money. In this article we give you the low-down on 4 of the top tips to boost your driver rating, from getting into the right mentality to granular tweaks you can make in order to gain a better foothold on the app. The first, most important, seemingly obvious, yet often overlooked tip, is simply that drivers should take a customer focused mentality. Many drivers don’t seem to quite grasp the fact that they are not in the business of driving people but they are in the business of providing a smooth, relaxing and convenient way to get about. 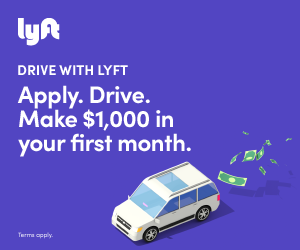 Uber and Lyft are certainly not the most expensive options out there, but it is often costly enough, that people expect a much better experience than your cheaper competition such as public transport or even walking. Thinking about customers first puts you into a mentality that makes you think about the overall experience of those you are serving. This approach will make an immediate impact on your customers experience and is the quickest way to boost your driver ratings. But what does this mean practically? Simply taking a professional approach to your job is the best way to achieve this. Reading up on customer service, how to act around customers and generally being polite creates a huge impact. It is also important to never get angry, this is both when dealing with difficult customers as well as other road users. Road rage is a sure fire way to make your passenger feel uncomfortable and get you a bad rating. Nobody likes to feel like they are being ripped off. That is why in the service industry it is really important to be fully transparent on why you are doing what you are doing. This is especially true for Uber and Lyft drivers when it comes to which routes you are taking. If your customer thinks you are taking a longer route than necessary then that will create a bad relationship very quickly, as they will likely get frustrated that the ride will cost them more in terms of money or time. There are a few quick wins to help you remedy this issue. Firstly, simply mounting your phone and loading up Google Maps or Waze, will allow your customer to easily see which route you are taking and why. Of course with your knowledge of the city you may be able to find better routes based on your experience. If you do this, it is a good idea to communicate this with the passenger. This not only limits the possibility of them feeling confused or like they are being ripped off, but also puts you in a better light. Briefly explain that you are trying to save them a bit of time or money based on your expert understanding of the roads. Mounting your phone doesn’t just help with transparency, but also helps your rider feel safer in the knowledge that you are not looking down at your hand to see where you are going. For many riders, an unmounted phone is an automatic four star rating. Feedback is worth its weight in gold. Unfortunately, both Uber and Lyft are terrible at giving feedback to drivers. They give very little to drivers, and the feedback they do give is vague. Nevertheless, many drivers will get hung up on bad feedback, or make every excuse under the sun as to why their feedback was bad but not their fault. A much better approach to take is using the legitimate feedback to improve your service. If the feedback was useless, ignore it. However many tips we might give you here, ultimately each driver in each city will have very different customers with different wants and needs. The best way to boost your ratings is to use what feedback you get and act on it. For example, if you receive some feedback that the car was dirty, then make sure you keep it cleaner. Or, if you get flagged because of some route you take, then make sure you are clear ongoing about the route you are taking and why. Many of the tips we have covered so far have looked at some of the big differences you can make to boost your ratings as an Uber/Lyft driver. However, there are also a number of smaller tweaks that will make a big difference to the overall experience of you customers. For example, understanding that Uber and Lyft are app based platforms will quickly lead you to the fact that all of your customers will likely have a mobile phone. Therefore providing a few of the most common phone chargers will allow customers to boost their battery life on the go. Providing other small items such as mints, chewing gum, vanity mirrors and bottles of water are more great ways to improve customer experiences. These little tweaks can cost next to nothing, but can ultimately lead to better ratings for newer drivers. They don’t seem to have much of an effect on tips though. If you’re newer, and you’d like to boost your ratings a bit, stick a phone charger and a few waters in the car. Another small thing that makes a lot of difference is making sure that your vehicle is spotless inside and out. This gives a much more luxurious feel and makes people feel important, all contributing to a better ride. In this article we have given some top tips on what you can do to boost your ratings as an Uber or Lyft driver. Some of these have been overarching such as changing your overall mentality from simply being a driver to being a high-quality service provider. Other tips have gone much more granular, focusing on the small tweaks you can make such as providing gum and water to make a riders experience better.